NEW YEAR – NEW BEGINNINGS? As the New Year arrives I often find myself looking back – pondering what has happened over the last 12 months – and looking forward, wondering what is ahead. The past year has included for me, most recently, the death of my mother. In the past 18 months I have lost both of my parents. They both had good long lives and strong faith and they were both looking forward to being at home with their Lord in heaven. Some of Dad’s last words to Mum were, “I go to a better, better place.” We reflected on the truth of that hope as part of Dad’s funeral. More recently at Mums’ funeral, we again reminded ourselves of the depth of love with which we are surrounded as followers of Jesus. We can let go of our loved ones confident that ‘they rest in him, our shield and our defender’, that they are surrounded and held in the loving arms of our Father God. Jo, my wife, has been appointed Chair of the House of Clergy for Diocesan Synod and as result is now, for three years, one of the senior women priests in our Diocese. She holds this new role in tandem with her other roles in Parish life and as Ecumenical Officer for Manchester Diocese. Jo thrives in these roles and we look forward for God’s guidance for her for the future. This has been a year when I have become more aware of both my gifts/strengths and of my weaknesses. It was hard to let go of the role of Area Dean for the Deanery of Ashton and a delight to be asked to be Borough Dean of Tameside, a role to which I was licenced in February 2018. This role recognises the work that I have been doing over many years to create space in the public sphere in Tameside for faith communities and some of the roles that I have played in more recent years in the wider charitable sector in Tameside. Our personal circumstances are not the only things to reflect on. The war in Yemen, the ongoing saga of Brexit, the continuing sense that we have of being ‘at risk’ in a world where terrorism is a serious threat, all crowd in on our thinking. The uncertainty in national politics and the reducing value of the pound suggest that change in coming months is not going to be easy, whatever political negotiations bring about. Many things can leave us leave us with a real sense of worry and concern. What was 2018 like for you? What were the ‘highlights’ and the ‘lowlights’? What seemed to leave you in the dark? What seemed to leave you basking in the light, in the sunshine of God’s love? What things excite you or worry you about the year ahead? Things of the past as well as our present experiences and our anticipation of what the future holds, make us into the people that we are today. Each of our experiences over the past year are like ‘holy ground’, they are places where God was present, even if we couldn’t feel him there. They may have been places where faith was tested, sometimes to the limit, or even beyond. They may have been places of illumination where God’s grace and love for us became almost tangible. They may have felt mundane and ordinary. There may well be things which it is impossible to make sense of at the moment, storms which will not die down, emotions and fears which overwhelm us. All of these are ‘holy ground’. 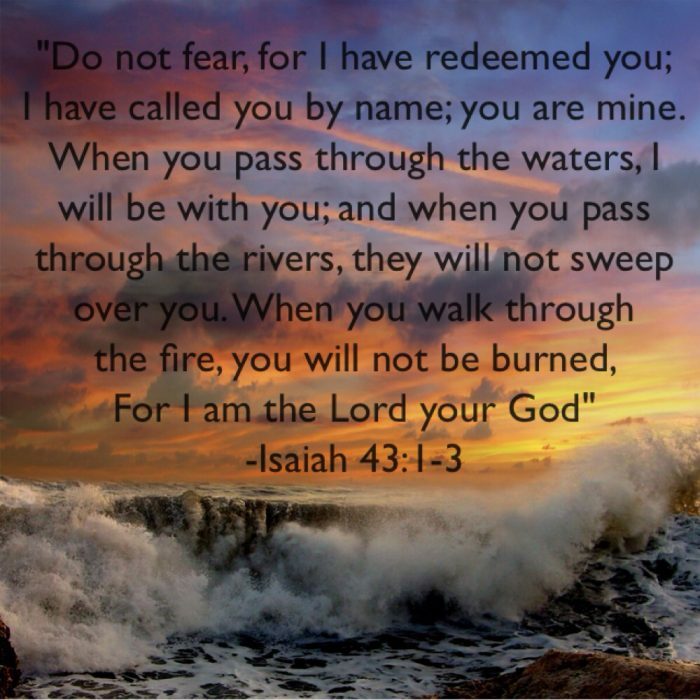 “Do not fear for I have redeemed you; I have called you by name, you are mine. A New Year brings opportunities for new beginnings, a chance to start over. It can be a time when we take a significant step forward in faith, or in our life circumstances. It can be a time when we hear again God’s promises to us, when hope is renewed, when we determine again to commit ourselves to serve others. A New Year can be a time when we break with the past, when we leave behind the old and move on to the new. A time to ‘wipe the slate clean’. And rightly so! God does want to break into our lives, if we let him, to bring healing and hope, just as he burst into the world on that first Christmas morning. Healing and hope for our past, for our present and for our future. This New Year, like every New Year, brings the promise of new hope, new chances, new life. God also wants to build on the foundations of the past, helping us to become the people we long to be. People who are confident of God’s love through all the experiences of our lives. People whose faith is built on strong foundations, people who have found security in his love, even in the most difficult of times. People whose relationship with God is real. 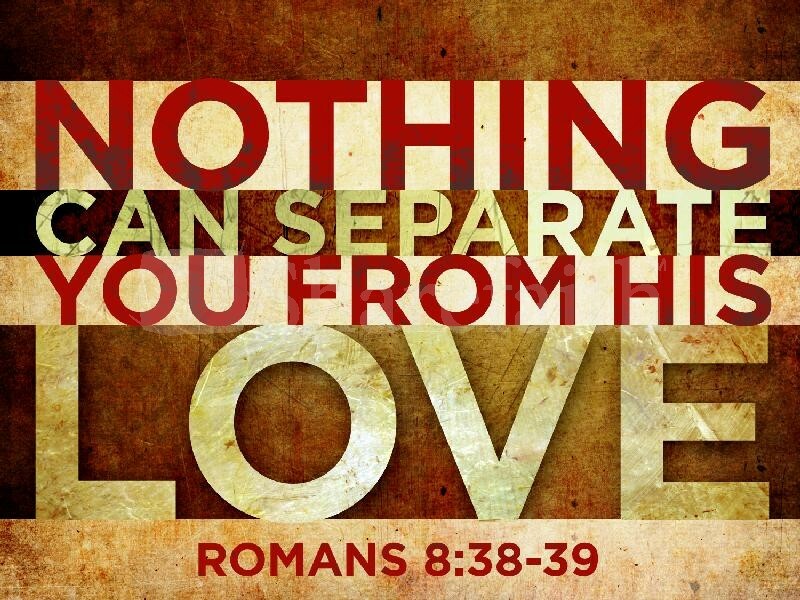 People whose lives, past, present and future, can be, and are being, redeemed by God’s love. We don’t just have hope for the future. God is at work in all of us, none of us is the finished article. God is redeeming each of us, our past, our present and our future. This entry was posted in Ashton-under-Lyne Blog, Comment on December 27, 2018 by rogerfarnworth.